It has always been one of the central claims of the Protestant Reformation that what was being reformed was a distortion of Christian life. The foundational narrative of the Reformation has always been precisely one of return, which is why the watchwords ad fontes (“to the sources”) rang with such power. With an embrace of sola scriptura, it was believed the Protestant Christian was getting back to the fundamental, pure, primitive Christianity taught by Jesus to His Apostles. Of course, both Orthodox Christians and Roman Catholics have arguments against that basic vision of Christian history, and such arguments go back to the Reformation itself. I cut my theological teeth, and still cut them, on James Jordan’s biblical theology. At the end of Through New Eyes, Jordan argues just as the temple was unimaginable to Israelites living through the collapse of the tabernacle system, so the future of the church is unimaginable to us. We can’t see the future; we can’t know how God is going to put back the fragmented pieces of His church. We can trust and hope that He is and will, but all we have access to are the configurations of the past and present. It’s tempting to imagine that the future of the church will be an extension of some present tradition – Protestant, Catholic, Orthodox, Anabaptist, whatever. But the future never is a simple extension of the past and present (how can it be, with the massive surge in Christianity in the global South?). So I remain contentedly and firmly in my reformed catholicity, but I remain also eager and impatient for the church to come. Of that church we know nothing except that it will be like nothing we know. We worship a living God, which means (Jenson tells us) a God of constant surprises. I doubt the sophisticated American convert really reverts to the real practices of Russian peasants of 200 years ago, and I suspect he really transforms icons, etc. into a kind of ideology and that this theology functions that way just as much as the worship of the Westminster Confession among Protestants…. I bolded the bit that really jumped out at me here: For Bledsoe, Roman Catholicism and Orthodoxy represent earlier forms of the church. This really is something new. Consider this: The Reformation’s claim all along was that it was restoring true Christianity, that Rome (and, by implication, Orthodoxy, especially after the Tübingen theologians figured out that the Ecumenical Patriarch wasn’t a Greek Lutheran) had betrayed Christ and the Reformers were bringing Christians back to Him. Almost every Protestant communion is founded precisely on this essential claim, with later generations of them adding into their list of traitors their fellow Protestants. Yet here were have Reformed Catholicity claiming not that Rome and Orthodoxy have betrayed the true Christian faith, they they were apostate movements, but that they are earlier forms of the Church. By implication, therefore, they were formerly legitimate, but the Church has essentially moved on. This should astound us, because I think it is indeed quite a new idea. Now, to be sure, the left-leaning sides of the Reformation have implicitly been making this claim for decades, though not in ecclesiological language at all, but rather political and cultural language. That is, liberal Protestantism has cast off the prejudices of yesteryear and is embracing its fellow man, the downtrodden and marginalized, representing a new dedication to justice, etc. Yet even in this claim is a judgment being laid on the past: Those Christians before us were wrong, and we are more enlightened and better than they are. Jesus really was a socialist, progressive, etc., and we have revealed His true teachings, which are nothing like those vile, racist Tea Partiers, etc. But that’s not what’s going on here. With the claim that the historic churches represent “earlier forms” of the Church, we are presented with a new way of understanding Christian history, one specifically designed (I believe) to inoculate potential converts to Rome or Orthodoxy away from Protestantism who become familiar with the details of the Christian past—ironically enough, quite often through these Reformed Catholic types. Of course Newman said "to be deep in history is to cease to be a Protestant." To think all you need is behind you is to be Catholic already. Protestantism is dizzily open-ended, like life. To rejoice before an unruly future is to cease to be Catholic. Thus, the partisans of Reformed Catholicity have lit upon a new way for the Protestant to deal with Christian history. The old way was to dismiss it all as so much apostasy. The most common way is simply to be ignorant of it. (“I don’t believe in history,” a fellow priest’s Baptist mother once told him. I don’t believe they’re related to the Fords, however.) And now we have a new way: Christian history is legitimate, but the Church has been improving over time, and Protestant denominationalism is in fact a higher and better version of the Church. I really have to hand it to these guys, because this is an ingenious way of dealing with all this data—you get to hang on to your own denominational (or non-denominational) loyalties, recognize those whose doctrines oppose yours as true Christians, and also subsume into your own legitimacy the Christianity of the past. You can even quote the Fathers and stir in a little of their liturgy into your otherwise bare walls echoing with sermons! But that’s not the deep problem in this historiographical scheme. The deep problem is twofold. The first is the problem of knowledge: How am I supposed to know the truth? If the Church is always evolving (the real semper reformanda? ), how can I be sure I’m actually on the Way? How am I to know that Reformed Catholicity is actually a better, legitimate offspring, “the greatest act of the Catholic Church,” and not just an egg it laid that turned out to be a dud? How do I know that that which has survived (for now) is really the fittest? The problem is still the same problem of the old-style Reformers. Once you admit of either a Great Apostasy or of ecclesiological Darwinism, you have unmoored yourself entirely from the possibility of being sheltered from the storm by eternal truth. Leithart’s crew would have us believe that the “unruly” waves of the Protestant sea are to be celebrated, but shouldn’t tranquility be the character of Christian truth? If we never know what zany thing the Church is going to be next, how is it the pillar and ground of the truth? That does not mean that the true Christian’s life will always be peaceful, but he will withstand the attacks of the Enemy only if his house is built on a rock, not on shifting sands. The second problem here is one of Christology, which is what most clearly shows this ecclesiology to be heretical: If the Church is evolving, that can only mean either that Christ is evolving or that the Church is not the Body of Christ. Biblically (and certainly Patristically), it is quite proper to say that the Church is Christ. But what does it mean therefore to say that Roman Catholicism and Orthodoxy represent “earlier forms of Christ” or that in the future “of that Christ we know nothing except that He will be like nothing we know”? Here is the suggestion that consciousness is evolving. In fact, the use of the terms “original participation” and “final participation” bring to mind Owen Barfield’s use of the same. Barfield was a post-Kantian idealist who came out of the tradition of British idealism of the 19th century. He argued that consciousness is something that evolves from a state of “Original Participation,” whereby premodern people perceive a greater reality behind external phenomena, to that of modern thought, which is thoroughly rationalist and materialistic, and finally to “Final Participation“, where participation is regained in an inward sense in the self-contained ego. If Leithart is subscribing to this thinking (and I have never heard those terms used in any other context) then he is playing with heterodoxical philosophy and theology. Such thinking is predicated upon a post-Kantian dialectical process of evolution (the specific principle is known as “polarity” in Barfield’s thinking). It also requires an anthrolopogy that makes room for a self-contained or transcendental ego, which is opposed to the thinking of the Fathers, who understood humans as a psycho-somatic whole. They also challenged the Plotinian dialectic, which subjected the human soul to a totalizing principle in its reconciliation to the One, which denied the sanctity of the created world in all its multiplicity. Many of the German and British idealists, such as Fichte, Hegel, Coleridge and the theosophical movement (both of which Barfield drew upon), and others, were enamored with Platonism. They transformed the Plotinian dialectic into an idealist one that had consciousness reconciling itself to the world through the resolution of contradictions inherent in reality — Barfieldianism relies upon very similar thinking. This is, as they say, the tip of the proverbial iceberg. Such a perspective, as it follows Descartes and Kant, is a human-centered, as opposed to God-centered, philosophy and theology — all things have to be evaluated as they are reflected in the mind, as it is in human consciousness. It is also gnostic and totalizing, positing an absolute and impersonal principle (i.e. “polarity”) that regulates and reconciles the external world with human consciousness. This problem leaves me the most befuddled, as Leithart himself has acknowledged that Hegelian thought is heretical. Further, it is also Euro-centric: It’s us “Western Europeans” and “Americans” that are at the forefront of the evolution of consciousness and moving toward “final participation,” while those “Africans” stuck in “original participation” are left behind. If Leithart really is a Barfieldian, this would explain much of what he has written in the past (and in this linked post) suggesting that Protestantism is the completion of Catholicism. He is relying upon a progressive view of history in order to make this claim. This is a very different form of Protestantism than we are used to: not one that claims that it is a return to the past, but one that is justified on a continuing evolution of Christianity. The Fathers and Apostles then, were stuck in a period of “childishness” and lacked the fullness of the faith as it was revealed by Christ. In this thinking, the Catholic and Orthodox are doubly idolatrous because they are not only idolators, but “immature” idolators, who still believe that there is a greater reality behind physical reality (how Leithart’s thinking can avoid the charge of gnosticism at this point is beyond me). In short, Barfieldianism relies upon a modern, totalizing, and violent metaphysics that relies upon an impersonal process that completes reality, and one that is human-centered, not God-centered. This is precisely the type of thing that David Hart writes against in his “Beauty of the Infinite.” Ultimately, not only does is it seem heretical — and this should be obvious to Protestants, not just Catholics and Orthodox — it is also extremely patronizing. Why would anyone want to commune with someone who calls them theologically and spiritually “immature” and stuck in “childishness”? Of course, I may be wrong about characterizing him as a Barfieldian, but then if this is the case, he needs to clarify what he means by the use of these terms, “original” and “final” “participation.” I have been unable to find their use in any other context — and the way they are referenced in that post looks like classic Barfield. Could not the “unruly future” Mr. Leithart mentions be a euphemism for “chaos”? To rejoice before chaos doesn’t quite sit right. What of St. Silouan’s admonishment of “Keep thy mind in hell but despair not”? Here is more sound advice, not rejoicing when faced with the chaos of hell, but simply to despair not, which is an act of humility and meekness. Rejoicing in the face of such is not a loving act. I can’t help but think that the fruit of Mr. Leithart’s teaching bears nothing but hostility to Orthodoxy and Holy Tradition. When you start calling those that lived at the foundation of the Faith “babies,” and denigrating icons as “childhood toys” then you’re breeding a haughty and prideful attitude that will inevitably lead to intimidation and perhaps even violence. Yep. Much of Evangelical Protestantism (and now it’s Neo-Reformation apostles) reminds me of the arrogant 19-year-old home from college for the first time, in the middle of his first philosophy class. He has it all figured out, don’t you know. I was that guy, by the way. Thanks to God I have lived and learned that I know next to nothing. Leithart and company propose that we jump ship and brave the waters. How odd. Its a question of where we are in that story. Has the ship already broken up? Is the job to find the biggest piece of wreckage that Paul or the captain happen to be clinging to, and try to pilot it somewhere? Or trust that God will bring all these pieces of wreckage to a safe, but uncertain, shore? It all very much depends on whether you actually believe what Christ said when He promised that the Gates of Hell would never prevail against the Church. If the Church is actually broken, if Christ is actually divided—even if (as you suggest) only temporarily—then we must believe that He was wrong to make such a promise. The Ark of Salvation cannot be broken. People do jump ship, and there is always hope that they can climb back in, but there is nothing in the Scripture to suggest that it is actually possible to divide the Church. One can be divided from the Church, but the Church is not divided. One merely has to look at the sweep of Protestant history to see that there is very little “progress” being made. The movement does not march “forward” from some point in the past towards some goal in the future, it sprawls sidelong, ever outward from its starting point as each new idea causes schism after schism after schism and various groups flee from each other’s communion. This new justification for schism is a not at all unexpected embracing of ever increasingly contemporary, secular thought. Not at all unexpected because the over arching watch word for Protestantism these days is “cultural relevance”. 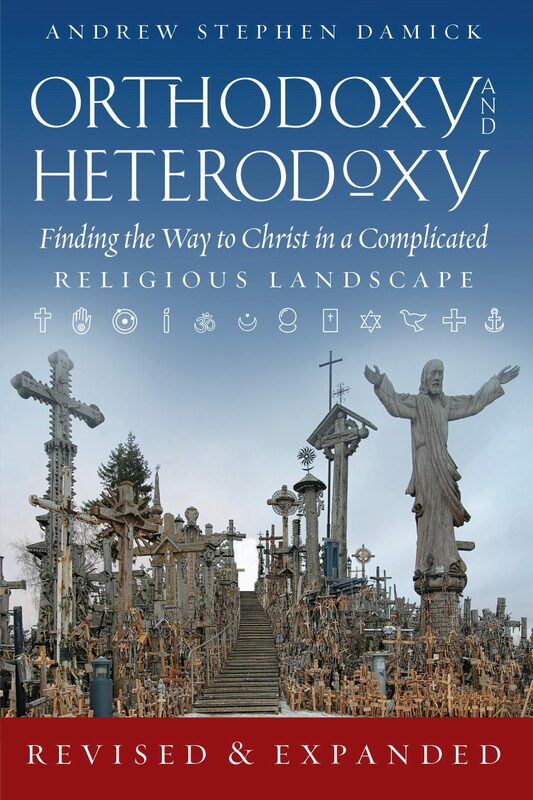 Amusingly, as is far too often the case, Leithart mistakes Western Protestant Christians embracing Catholicism/Orthodoxy as motivated by an attempt to embrace/replicate past praxis or cultural frameworks rather than as motivated by theology, history or a simple rejection of schism as spiritually valid. Amusing because as you point out above, the entire _THRUST_ of Protestantism for 500 years was the return to the past praxis and cultural framework which was supposedly lost. So, not only is Leithart slandering we converts, but also his own forebears who were, by his analysis, making the same “mistake” we make now. And yet, despite that, he’ll go on insisting that their “mistake” somehow mystically gave rise to his correctness. Orthodoxy was wrong, Catholicism was wrong, the early Reformers were wrong, but two millennia after Christ founded his church, thank God, at least one man finally “gets” what God had in mind all those years ago. The unmitigated arrogance is astounding. I have said it before, and I will keep saying it: schism is evil. You cannot embrace it without rejecting the authority of Scripture and the fruit is grows is rotten to the core. I don’t think this is really the claim to finally “getting it” while everyone else has been wrong—that’s the Great Apostasy doctrine, i.e., traditional Reformation historiography. Rather, this is saying that the Church itself is actually evolving and getting better as it goes. You’re right, though, that there really is no apparent vector for this development, especially since we’re looking at myriad denominations with ever-multiplying variations on dogma and praxis. To perhaps clarify: he “gets it” in that he’s the “first” to “realize” that what needs to be grasped is that the Church is some kind of eternally unfolding actualization which cannot be pre-known. So, not a “gets it” in the sense that he’s recovered what we lost (Great Apostasy), but that he “gets it” in the sense that no one previously ever had it and the very fact that we thought we got it is proof that we didn’t. Perhaps even more amusing than how arrogant and presumtive this is with regards to both his enlightenment and my motivations for rejecting it, is how much the notion of an eternally unfolding actualization is actually a very _EASTERN_ concept. Much more Hindu or Buddhist than Reformed Christian. This type of thinking allows the ego to run wild and seems to encourage arrogance and novelty. When heresy and schism are seen as the work of God we have become truly lost and are no longer tethered by the Holy Spirit but by are own delusions of grandeur. Sadly I once bought into this nonsense hook line and sinker…Lord have Mercy on me a sinner! As one who struggles with the sin of arrogance Leithart’s ideas allowed me to be my own pope, council, and god. Lord have mercy! In my experience with the more liberal end of the Dutch Reformed tradition (now better known simply as ‘the Dutch Reformed tradition’), they tried to slide this thinking by under the principle of Semper Reformada. For the Reformers, that had meant that the Church was continually called back to the Gospel of Jesus Christ and to repentance. For the modern theological liberal, it means something more akin to Mutatis Mutandis. Not much to add other than the identification of Abraham Kuyper and the recent resurgence of “Neo-Calvinism” to the mix of probable influences going on here. As far back as 1898 Kuyper was describing Calvinism (explicitly so) as a more advanced stage of religion, based upon the lack of externally focused modes of worship. There are the same sorts of racist undertones as with Barfield, interestingly enough. Kuyper’s work is getting a lot of play at the multi-denominational seminary I attend, so I can only imagine how he’s popped up in more explicitly reformed institutions. Is this much different than the current Catholic viewpoint of past formations of the Church? A way to reconcile all of its own reformations & counter-reformations? RC theology does not regard itself as better or as a correction of what came before, but rather as “clearer,” that all it believes is at least present in seed form with the Apostles. Well, sure, that is what they say, but in reality the Roman Catholics have re-cast the notion of Tradition as a kind of Development (rather than as simply “handing over” the deposit of faith without change). The result is indistinguishable from the picture of “progress” that Leithart, et al, are painting. I think it’s materially the same (that is, they really have changed their dogma), but the actual belief here is different, because RCs don’t believe that what they teach now actually contradicts what came before. I don’t think the RefCath bunch would have any problem with the idea of contradicting what came before. me, “I don’t think history is important,” (and he was referring to Church history)… I was struck dumb. I suppose I shouldn’t have been surprised, considering that evangelical Christianity really is an ahistorical faith. But to hear it said so explicitly really shocked me. How can any Christian not think history is important? I’ll grant that affirming the importance of Church history doesn’t necessarily mean you have to embrace Orthodoxy (though it should! ), but don’t all Christians affirm that Christ’s resurrection was historical? As St. Paul said if Christ is not raised (if the resurrection was not a historical event) then our faith is futile, worthless. If the very legitimacy of Christianity rests on the historicity of Christ’s resurrection then how can Church history not be important? It is because sola scriptura Protestantism relies essentially on the same sensibility that Islam does—not the Word made Flesh, but the Word made Text. The former gives history its meaning, but the latter erases it. Father, how do you handle replies from Protestants who use the ‘Great Apostasy’ argument? As a Protestant leaning towards Orthodoxy, I can tell you personally that church history always puzzled me growing up. How could God allow the Gospel (read: sola fide) to go extinct for 1100 years (400-1500), only to be resurrected by a disobedient German monk? And therefore ow could there be left not one single true Church on earth during this time, despite our Lord’s promise in Matthew 16:18 (this passage is NOT referring to an invisible community of saints! ); after all, a church that doesn’t preach the Gospel is not a true Church, but a heretical, schismatic body. So how do you handle the ‘Great Apostasy’ argument – and how can Protestants plausibly explain church history? 1. How plausible is it that the Apostles failed in their mission? Corollary: By what means do you date the Great Apostasy? 2. If true Christianity was lost for centuries until your particular group came along to restore it, how do I know that another restorationist (or Restorationist) is not correct and yours is wrong? As for how Protestants handle Church history, well, there are many kinds of Protestants. The more “low church” types (mainly from the Radical Reformation) simply tend to ignore it and/or be ignorant of it. The “high church” sorts (mainly from the Magisterial Reformation) are more likely to take it into account, but they tend to interpret the Fathers as being Lutherans, Calvinists, etc. In regards to your second question, I suppose some Evangelicals would say that they read the Bible correctly…but wait! one could then retort that the Fathers used the same Bible, so how could they have missed what you so ‘clearly’ read for 1100 years? But then an Evangelical would respond back, saying that many of the fathers didn’t even know Hebrew or Greek (St. Augustine); after all, the West exclusively used the Vulgate for 1100 years, and St. Jerome was a Catholic, don’t you know? (they always bring up the ‘penitentia’ of Matthew 3:2 to prove the Vulgate was a ‘corrupt’ translation’). That’s all well and good, I suppose, but what of the Eastern fathers? Greek may have been lost to the West but it was not lost in the East. How do you explain the absence of the (Evangelical) Gospel in THEIR writings? I just have two more questions, father: in your book ‘Orthodoxy and Heterodoxy’ (which I’ve nearly finished) you briefly mention the definition of ‘faith’, making specific reference to 1 John 5:13 to refute the Protestant definition of faith. How did the early fathers understand saving faith? Also, there is another point I keep making, and I wonder if you agree: for Protestants, saving faith is not simply ‘justification by faith alone’; rather it is BELIEVING THE DOCTRINE of ‘justification by faith alone’. Basically, Evangelicals hold that anyone who believes salvation consists of a combination of faith and works is a heretic who has not understood the Gospel, i.e. is not truly saved and therefore heading for hell. Now, here’s the rub: even if you could cherry-pick a few of the fathers who said we are justified ‘sola fide’ (Clement of Rome is a perennial favorite for Protestants, but I suspect they are being selective with his writings), THERE IS NO INDICATION THAT ANY FATHER DEFINED SAVING FAITH AS BELIEVING IN A SPECIFIC DOCTRINE OF SALVATION. That does not appear until, well, the Reformation. Now, my second question is: from your better acquaintance with the fathers, do you agree with this statement? Well, as I wrote before, it seems you already have all this worked out for yourself. 🙂 The one caveat I would offer, of course, is that the Protestants to whom you refer seem to be mainly low-church Evangelicals. There are other Protestants who would define saving faith more broadly. You sound like N. T. Wright! And you are right. They are being selective in quoting Clement of Rome. In fact, Clement of Rome seems to quote both Paul and James side-by-side in arguing for “faith alone” and not by faith alone. I’ve always been amazed at his ability to live with such apparent contradictions. Protestantism as the Christian ubermensch. In the repetitious cycle of ideas look for this to be followed by a return to a very traditional, conservative calvinism among those who don’t lose their appetite for Christianity altogether. How can i say No and dismiss that fire for Christ which is in them. Yet how can i say Yes and ignore that they’re not a part of Christ’s Body and the doctrine that they follow is heretical. Many who have converted to the Church can attest that it was the grace of the Holy Spirit that drew them, that reached out to them where they were and led them into the fulness of His presence. This seems to demonstrate fairly straightforwardly that the grace of God and the doctrinal boundaries of the Church are not always co-terminus. If those apart from the Church are cut off from the grace of God how do they ever become part of the Church? It would seem then that whereas in the Church grace is dispensed generally, that is, the grace of the Holy Spirit is poured out on all those in the Church in various ways, apart from the Church it is dispensed selectively or individually according to God’s providential and mysterious will. Are your protestant friends Christian? In the doctrinal rather than dictionary sense of that word who can say for certain? But if they claim that name and demonstrate something of true Christian life then we have good reason to hope that the Spirit who blows where He will is at work and will call that which is not as though it were when the time comes. I find this idea that I converted to go play with childish toys or whatnot to be patently offensive. I am the granddaughter of a fundamentalist Baptist preacher, and the daughter of the church pianist. We were in church growing up every single time those doors were open. I went to Christian schools and graduated from one of Evangelical land’s top colleges where I took Christian history courses. It’s because those history courses were missing some things, or didn’t match what I saw in the churches growing up, that I began to, as I put it, pull on the snag in my theological sweater. I joined the Orthodox Church in 2004 because I knew it to be true. I had studied, I read, I prayed and I talked it out. And if that guy had any idea how hard it was to be that honest, and to give up my previously-held feelings about those religious toys and how we relate to them, he’d be shutting his pie hole. I wish it was different, but the longer I’m Orthodox, the less patience I have with the theological flailing about that today’s Evangelicals, particularly the Neo-Calvinist/Reformed do on a regular basis. I still subscribe to Christianity Today magazine but it’s a good day when I read and don’t toss it to the puppy to shred. Fr. Andrew, thank you for the work you do. Your podcasts have been burned to CD and live in my not-so-Baptist-anymore mother’s car where she and her mother re-listen to them almost daily. You unpacked our history and its distinctives in a way that has been very helpful to them, and to me. Now THAT is awesome. May God continue to bless you and your family! That was an inspiring comment! I too grew up in a fundamentalist Evangelical household, and I too had doubts about my Protestantism because of the facts of history. If I may ask: what books/resources would you recommend for someone like me, who wants to know more about church history but also wants to give a defense of his decision to convert to Orthodoxy (I’m thinking seriously of converting, but my parents are strictly Evangelical. If I do convert, I have to be ready to defend myself and give good reasons for my decision to depart from Evangelicalism). Also, how did your parents cope, and how has Orthodoxy blessed your life? For Dogmatics: Romanides and Pomazansky – Fr. Romanides’ work on Dogmatics can be previewed at Amazon. Some of this other writings are available at the Romanity.org site. Fr. Georges Florovsky is also recommended but his works can be hard to come by. Apologies for interrupting, but we really live in blessed times when so much Orthodox material is available in English. The writings of and about modern Elders like Porphyrios, Paisios, Thaddeus and Cleopa (search these last two on Youtube!) are so beneficial. They lived the Gospel of Christ in our times. This is indeed a new approach to the history of the Church, but I believe its origins may in fact lie with the “Emerging Church,” as this is precisely the narrative perpetuated by the likes of Brian Maclaren, etc. Even the name implies this idea of “emerging” from the Church of the past into something new and yet unknown. Just some thoughts, in case you plan on exploring this in future posts. Great blog! As regards the discussion on “Tradition as a kind of development” within Roman Catholicism, I’d say that such a notion does not exist within Orthodoxy. Furthermore, Newman’s familiar quote “To be deep in history is to cease to be Protestant” was said prior to Vatican II when sadly, innovation became the norm within the RCC. Anabale Bugnini, the architect of the Novus Ordo Mass, revolutionized the way Catholics worshipped. He stripped the liturgy of those elements that would be offensive to Protestants for it was his intent to lure the separated brethren back to the fold – the very reason he brought in Protestant pastors to take part in this process. The Roman Catholic faith has gone through innovations and transformations such that it bears less and less a resemblance to what it once was, both in worship and practice. Pope Paul VI saw within a short span of time the damage Vatican II had done to which he noted, “The smoke of Satan has entered the temple of God.” Yet, even he attempted to bring the Church up to speed with the new ecumenism he espoused. Think of the encyclical Nostra Aetate in which Pope Paul VI claims that Muslims adore the same God as the Christians. He opened the gates wide for the infiltration of this new ecumenism within the RCC. Less than 20 years after Paul VI’s comment about Satan entering the temple, JP II had a ecumenical religious gathering on October 27, 1986 in Assisi, in which non-Christian religions as well as Christians from other traditions were invited to participate. Altars were set up so that pagans, Hindus, and others could practice their religious rites. I’d say that Cardinal Newman would be quite surprised (and shocked) to witness the evolution of the Roman Catholic Church today. There are many “choice” quotes in Jordan’s article. I cringed when re-reading it. I used to think Jordan was brilliant. Now he just strikes me as a deluded fool. This idea of more and more knowledge and growing awareness, or whatever one wants to call it, reminds me very much of the things I have heard and read about Freemasonry. When one is initiated, the first thing that is said to him is “you who were in darkness have come into the light”. There are 33 degrees and the higher in degrees, the more “enlightened” or “filled with light” one has become; or so they say. One can believe in any diety of their choice when they join; according to them, all our brothers and can sit at one table. This sort of stuff leads one on a path to nowhere good! Well, to be fair, there’s a difference between personal growth in enlightenment—which is really nothing other than the theoria and theosis taught by the Fathers—and an evolutionary trajectory for the very Church itself, whose chief Member is Christ. Freemasons aren’t wrong to speak about progress in enlightenment; where they go wrong is in believing that Freemasonry imparts it. Ecclesiological Darwinism is directly tied into the heresy of Ecclesiological Docetism (which is Gnostic in nature). This is the notion of an invisible church consisting of individuals from any so-called Christian denomination or movement who have received a form of spiritual enlightenment, assent to a particular set of doctrines, or whatever else religious relativism begs. I have remarked in past time of the similarities between Protestants forms of Ecclesiology and Darwinian Evolution (i.e. common descent of all modern Christian groups from an ancient Christian ancestor). I find it ironic that some Protestants object to Evolutionary Biology but adhere to some form of Ecclesiological Darwinism/Docetism. I just received your essay “Ecclesiological Darwinism: Reformed Catholicity’s Denial of the Foundation of the Reformation” from a friend. It seems almost enough to say, with Evdokimov, “After the Gospel, all religious messages are the sheerest form of speculation.” As for Barfield, the movement from original to final participation is a movement from universal consciousness to self-conscious (pgs 182-183, “Saving the Appearances, A Study in Idolatry”). I should rather strive for just the opposite, to put on the “Mind of Christ.” Barfield’s final paragraph (pg 186) equates original participation with paganism, regrettably without further elaboration or explanation! Having read all of the articles and comments, I have to think that evolution in religion is a interesting perspective in what the religions of the world teach, incl. Orthodoxy. Having studied Orthodox belief and attended EO services for almost a decade, I don’t see what distinction there is between Catholic “doctrinal development” and the way that Orthodoxy has grown as well. The doctrinal understanding of certain concepts such as logoi, energies and three ‘faculties’ of the soul which are not biblical in origin developed over time. These concepts were not present in the beginning yet are now part and parcel of EO thought. I am not absolutely certain that the word “trinity” appears in the Bible either. It is clear from reading authors such as Tarazi and Behr that their writing which is taught in EO seminaries has ideas that are best described as modern yet are in keeping with the EO faith as it has developed. Just as the development of the theology of the liturgy occurred with additions to Chrysostom’s liturgy in the later half of the first mellinium while the introduction in Russia of the floor to ceiling iconostasis required new interpretations of the relationship of the celebrants with the people which didn’t exist in the earlier liturgies as earlier churches that have been excavated have barely an altar rail. Although there is an effort to sanitize Western theological ideas which were introduced in Russia and Greece during the enlightenment, these were ideas which theologians in such churches were quite capable of absorbing into Orthodoxy.